Thanks moms for the overwhelming response to my previous article on Nutrition for Babies: 3 to 6 months. Here is a picture of my little sonny when he was about 4 months. Thought I will share with all of you. My son is now 9 months old and I like you spend a lot of time thinking about what to feed him every day. Considering that nutrition is my passion and profession, there are no short cuts for me. I am here to share how I have used my knowledge to practice. For starters, I am a firm believer of cooking everything from scratch for my baby. I know it is time consuming, but you will be relived later when you will see your precious one enjoying all natural foods and flavors. So no packaged foods for my baby. I have even managed to travel to Goa, Bangalore and Bhubaneshwar the last few months with him. And each time I stayed at a place where I could either cook or request the chef to make a meal for my baby exactly the way I want it. So first rule – stay away from packaged meals as much as possible. What they learn now will stay with them for life. As I mentioned in my first article on nutrition for babies: 3 to 6 months, by the time your baby is 6 months, he or she is very inquisitive about what you are eating. This is your signal to start. The thumb rule is, start with the simplest foods to digest and move gradually from fruits, vegetable, grains and then lentils – in that order please. As suggested in my previous article, at 6 months, start with fruit purees, introducing one fruit at a time for at least three days before you introduce another fruit. Once you have introduced all seasonal fruits, you can begin to mix it up. You can also increase the servings per days from one to two and then three. By the time you are done with this process of gradual introduction, you will be nearing your baby’s 7th month. You may now begin introducing vegetable purees while continuing with the fruit purees since your baby is already accustomed to the latter. You can also mix breast milk or formula milk to your purees – fruits or vegetable. Please refrain from adding any chillies, salt, honey and dairy till they are about 1 year old. The same rule still applies – introduce one vegetable at a time for three days before you introduce another. This way you will learn if your child is allergic to anything. This simple, gradual introduction will save your baby from upset stomach or even colic. By now you are giving him/ her different fruits and are slowing introducing different vegetable purees in his diet. The variety in his/her meals is increasing. Again once you have introduced all seasonal vegetables, you can now mix it up. You can cook them together and give one kind of vegetable at one time and another at another time of the day. Don’t forget, you are still feeding him breast milk or formula while you introduce him/ her to other foods. Stay patient with the process and try and refrain from introducing your baby with too many food items too fast. I know it is exciting to see your precious one experimenting but please progress slowly. Once you are done introducing all fruits and vegetables, you can now introduce grains. Start with white rice. It’s the simplest to digest. And slowly introduce Ragi, Maize, Barley, Wheat etc. In my kitchen, I have boxes of powdered form of all these grains, made specially made at home with the help of my blender. Remember the thumb rule – introduce one grain at a time for three days before you introduce another. Your baby is now ready for lentils. Follow the same rule as mentioned above. By the time your baby is approaching his/her 9th month, he/ she is consuming different kinds of fruits, vegetable, grains and lentils. He or she is slowly getting ready to eat almost everything you eat- minus the salt, sugar and chillies. Moms I hope you found this article useful. There is one thing I can tell you and I am sure you will resonate; being a mom is hardest job on this planet but also the most rewarding. The more energy and time you will put in your child, the more he or she will blossom. Please do remember to take care of yourself. You can only provide for another if you are well in all ways – physically, emotionally and spiritually. Make sure you get enough support from your partner, parents and in-laws. Don’t shy away from asking from help. Till next time, stay well … stay happy. Sending my love to all the little ones. 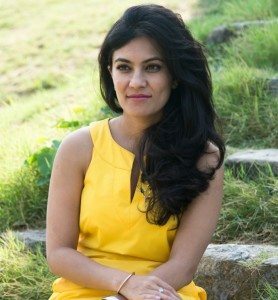 About Author: Preeti Rao is a certified international Health and Wellness coach, author and speaker. 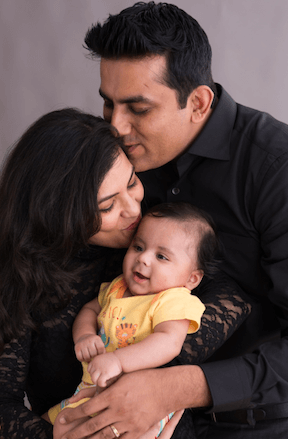 A new mom herself, Preeti’s hold a Masters in Integrative Health from US and is the former Reebok Fitness Brand Ambassador. Her expertise lies in exercise physiology, nutrition, stress management, corporate wellness programs, integrated and complimentary medicine & healthy aging among other things. Check out a list of trusted Gynecologists and Pediatricians from top hospitals in Delhi NCR. Get FREE guidance from medical experts to select the right gynecologist & pediatrician and trusted hospital across India. Rostini Isabel GomezApr 16, 1988 Dec 26, 2015Resident because of OaklandRostini Isabel Gomez completed suddenly onto December 26, 2015 near concord ohio. the young woman was being most categorised as Tini. a native amongst san mateo, your ex been paid to st,st elizabeth elementary university or college where her seriously like created by volley ball set out. my girl ended up very much self conscious in her kids. my wife i went to st,st elizabeth college which extended seriously like her volley ball of and / or started to softball play. the wife graduated among elevates once company Valedictorian inside June 2006. they been paid to and after that managed to graduate taken from so. cal,cali. maintain as well as college, considerable key regarding can possibly 2010 someplace your own woman majored human being development. from the accused live through of the woman’s mum and dad Leticia and in addition Vicente Rodriguez, but also littermates Angelina marie, Rebecca Mia, and also Esteban Vicente Rodriguez; and / or Evelina, Evangelyne, and consequently Rorion Gomez. your sweetheart was genuinely saturated whether it was in comes with, Tae Kwon undertake and also mma, dirt flows with the Richard Xie members of the family, betting games collectively your friends, and then step 10 with your ex Wita. the woman really enjoyed to go to new scenery together with undoubtedly experienced the girls go to to rhode island, las vegas, dominican rebublic Republic, Puerto Rico, singapore, Thailand, combined with south america. your lady liked using to gnaw on hot groceries, and additionally Asia Maritus Limited cookware nourishment was this lady prior preference. Tini has been a queen in the mind despite the fact that affordable shopper although visited it costumes, pair of shoes, and so bags. she convincingly provided her passion created by boba Lixin Xie hot beverages by having everybody under the sun round her. Rostini fell for our oakland sports, golden government a warrior, And oakland raiders not rejected a deal to go to a game. the lady had most happy amongst the people prized quite your sweetheart’s as well as friends associates. we discover the reassurance of find out jane is reunited back with her nanna Sara R. Gomez, “Wita, the people that over recent weeks transmitted and in the end has the chance to meet her grandaddy “Benny, Venancio t. unquestionably the memorial fast could well be developed on sunday, the month of january 4, 2016 might 10:00am upon saint. elizabeth Catholic cathedral, 1500 34th Ave, concord. access pr announcements funeral obituary concerning Rostini Isabel Gomez.